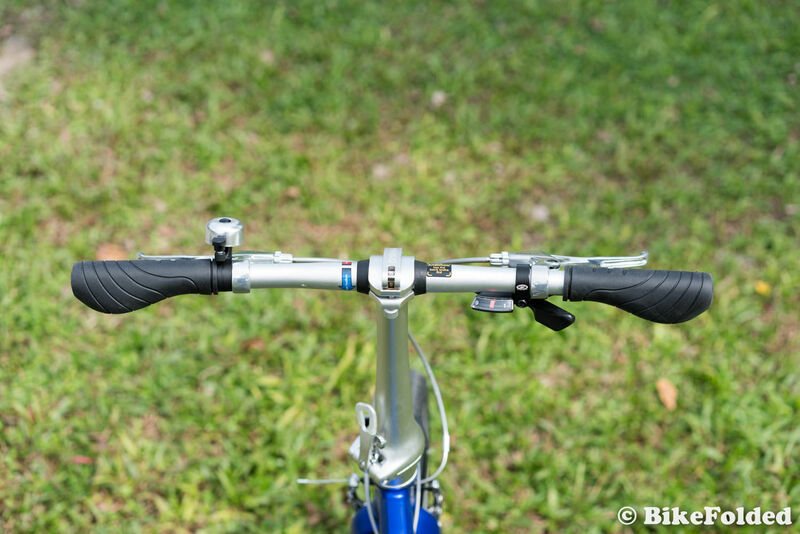 Oyama CX-9 Folding Bike Review - 24" Wheels for Better Rides? 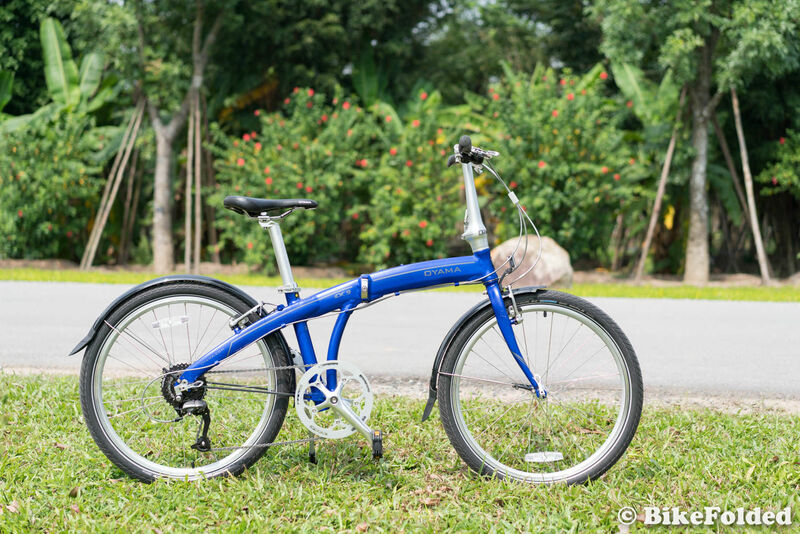 Oyama CX-9 Folding Bike Review – 24″ Wheels for Better Rides? 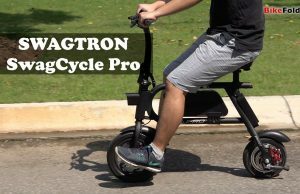 Many people don’t want to switch to a folding bike because they can’t get used to the small 16-inch or 20-inch wheels. 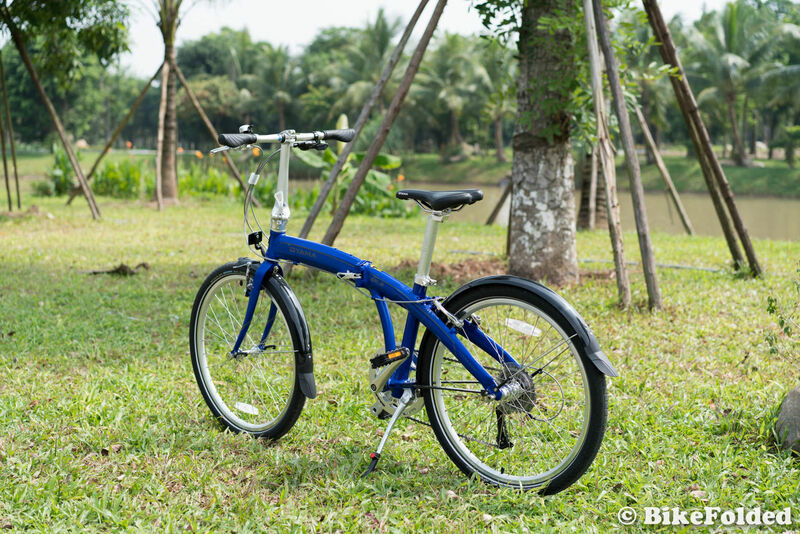 Fortunately, there are some full-sized folding bikes out there with larger wheels ranging from 24 to 26 inches. 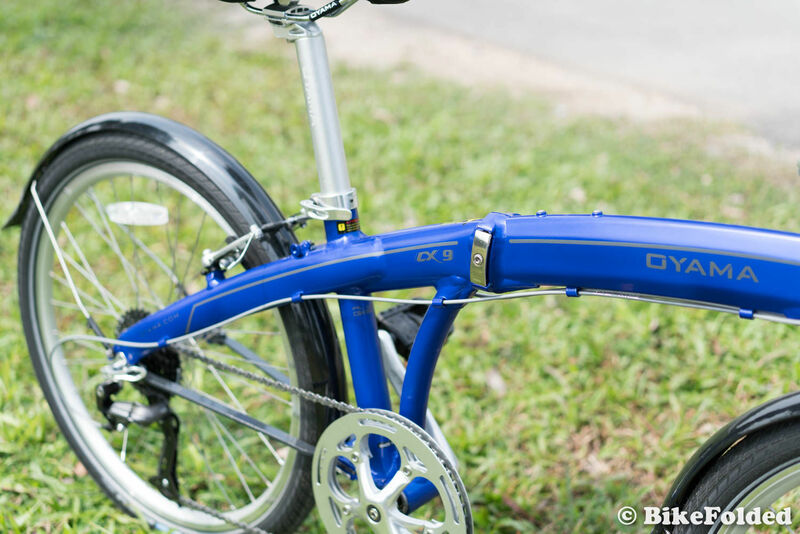 The bike we’re going to review is the Oyama CX-9 folding bike with 24-inch wheels. 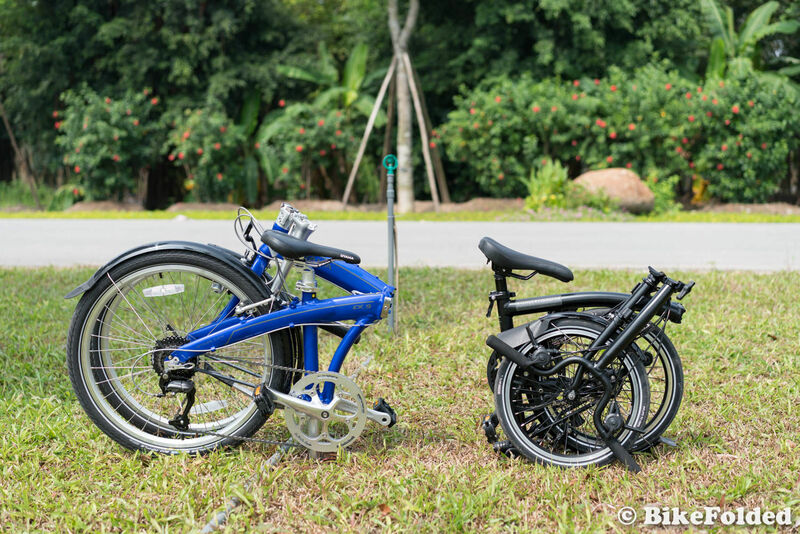 When it comes to full-sized folding bikes, there are actually just a few choices and most of them have low build quality. 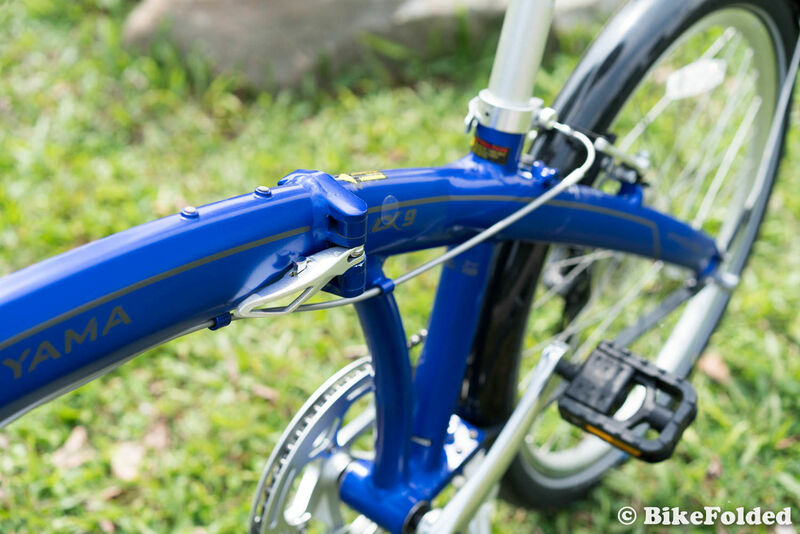 The Oyama CX-9 has a premium price tag of $999, so I expected it would have the same quality as the Dahon IOS. Unfortunately, the Oyama bike is subpar with many issues. 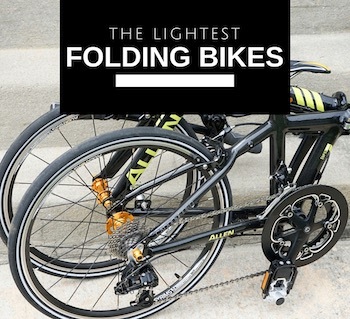 I don’t recommend this bike if you need to fold and unfold regularly. One of the reasons is the bulky design. 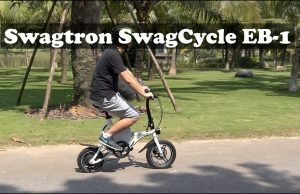 Although it can fit in the trunk of my sedan, it is still huge when standing next to my Brompton with 16-inch wheels. 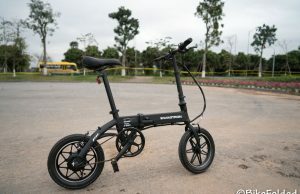 More importantly, the frame hinge is quite stiff, so folding and unfolding the bike were really terrible experiences for me. It is alright if you just need to fold it occasionally. The CX-9 is actually lighter than I thought; it weighs just over 30lbs thanks to the aluminum frame, so I have no problem carrying it in a short distance. The problem is that you can’t roll the bike in the folded position, so it has to be lifted up. 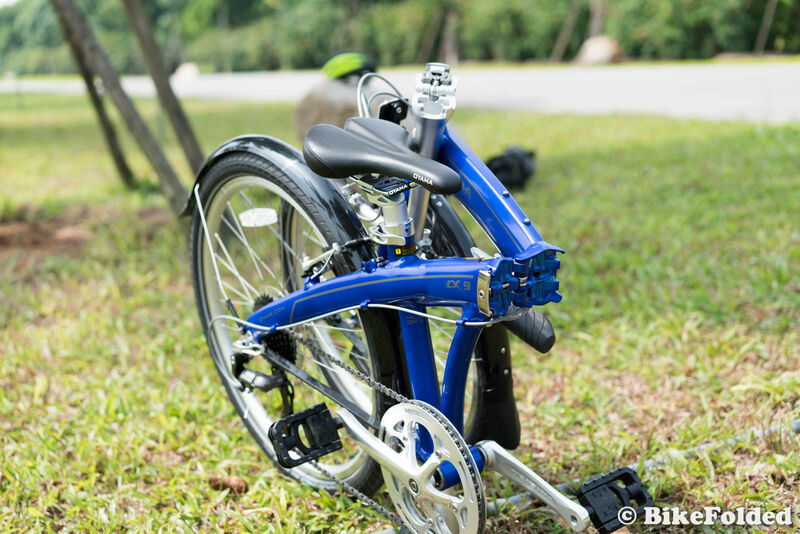 The bicycle folds with the handlepost between the wheel; this makes the whole package more compact but also creates a lot of scratches on the frame. 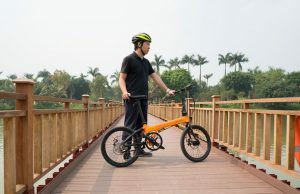 Obviously, there are a lot of problems in making the 24-inch folding bikes. However, if you can sacrifice all of those shortcomings, the riding quality really pays off. 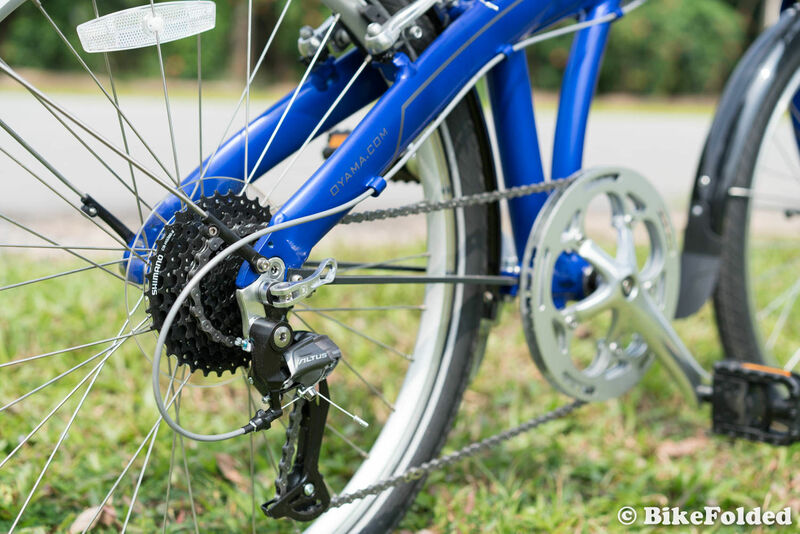 The CX-9 has 9 speeds and the Shimano derailleur is very smooth in shifting gears. The big tires also make my rides a lot more stable and comfortable. 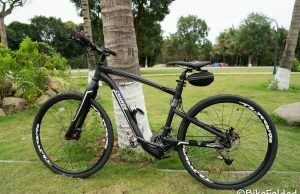 Besides, I also can ride faster with this bike and it requires less effort to climb hills. The Oyama CX-9 is just a good quality full-sized folding bike, so I can’t justify its premium price tag of $1,000. 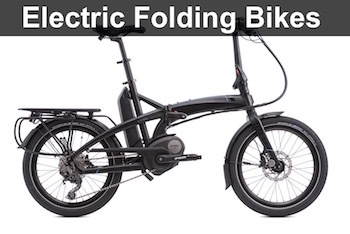 Honestly, there are better choices in that high price range, so we at BikeFolded.com don’t recommend the bike. You should only consider it when it is heavily discounted to the $400-$500 range. 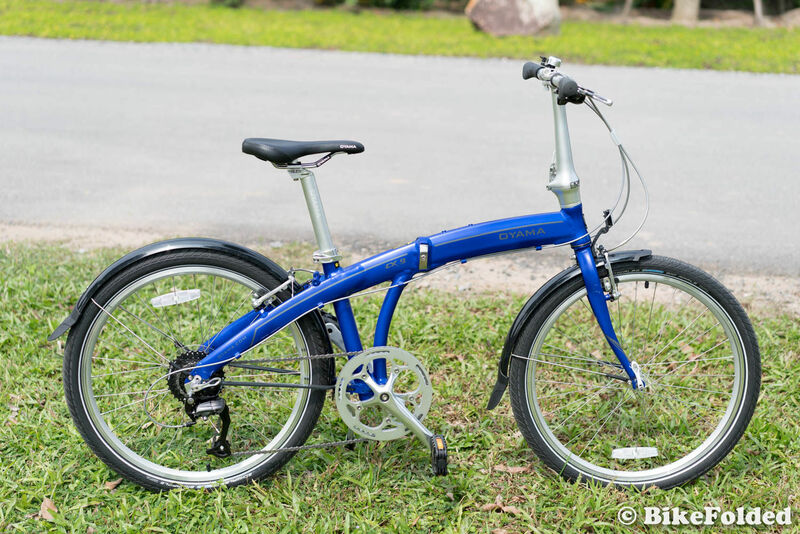 An overpriced full-sized folding bike.